Zoned Air Conditioning – Is It A Right Phoenix AC Solution? Written by Rm Harrington on . Posted in Air Conditioning Technology, Arizona Air Conditioning Installation, Buying Tips. Remember the zoned air conditioning system used by your parents? Dad’s simple cost-savings plan involved closing off registers in specific rooms of the house. Sadly to say: Dad’s plan proved totally ineffective. And in many cases, such haphazard AC zoning practices actually shortened the life of the HVAC air handler unit. Yet the ways of old still linger: The average homeowner continues to use closed registers as a primary means of zoned AC comfort. In this article, the home comfort techs at American Cooling and Heating reveal the pros and cons of an installed Arizona home zoning AC system. Efficient and effective home comfort requires installation of a balance AC airflow system. If you live alone, zoning your home air conditioning may seem senseless. But for people with a family, daily thermostat wars can become a major problem. Some folks like a very cold home environment. Other folks prefer things a bit warmer. With standard installed Phoenix HVAC systems, family compromise is the only solution. Multi-zone home cooling and heating offers a different type of air conditioning solution. These systems are designed to make home zoning AC quick, efficient and effective. However, multi-zone home air conditioning systems come with both advantages and disadvantages – Installation prices coming in as one of the major points of consideration. Installed multi-zone home heating and cooling enables individual temperature control of specific divisions within your home. Certified HVAC techs examine your home, calculate best processes, and then essentially split your house into several distinctively controlled heating and cooling AC zones. In some homes, the process may be managed by installation of multiple furnaces, heat pumps or air conditioning systems. In other homes, the process may be managed by installation of electronic baffles geared to open and close on key to air flow from a central air handler. Either method enables the HVAC system to provide separate and independent temperature adjustments to each zone within the home. Home Zoning AC Comfort – Unlike central heating and cooling systems, multi-zone home air conditioning enables family members with personal control of temperatures zone by zone. Depending on the divisions, everyone sets sleeping temperatures to their favored positions. Likewise, kitchens can be kept cooler than living rooms. Basically, a zoned air conditioning system lets your family enjoy home comfort that suits individual heating and cooling preferences. Home Zoning AC Control – Although effective and efficient home zoning air conditioning links back to comfort, the systems offer more than mere temperature-orientated physical comfort. 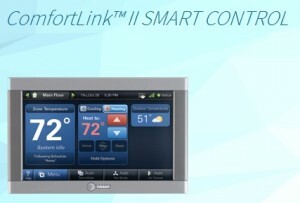 Modern HVAC technology enables remote and programmed control over thermostats located throughout the home. Top zoned AC systems also include fan controls, humidity management, and various energy saving options. For example: the Trane ComfortLink II Thermostat System helps homeowners reduce energy expenses – even if you are not zoning. A properly sized and correctly installed home zoning HVAC system can save your family hundreds of dollars per year in energy expenses. Home Zoning AC Noise Management – Although modern heating and cooling equipment produces much less noise emission than the early years counterparts, integrated variable-speed fan systems provide an even greater form of noise management. Likewise with two-stage air conditioning systems: Home zoning permits maximum system-performance system-efficiency while providing quieter system operations. Multi-zone heating and cooling systems cost more than standard AC systems. A correct and energy-efficient HVAC zoning system requires more equipment and a more complex duct system. Even if you convert your existing central unit, you will pay a higher cost for the changeover. More equipment means greater chances for future component failure. This also means that servicing and troubleshooting expenses run higher. Before switching over to a multi-zoned heating and cooling system, contact ACH for a full home evaluation. Our techs can provide you with a best-purpose Phoenix heating and cooling solution for your home. Act now. Contact American Cooling and Heating – Arizona air conditioning sales and service, reaching out to residents throughout the Phoenix metro area. Written by Rm Harrington on . Posted in AC Installation, Buying Tips, Cooling Tips, Repair or Replace. Whether searching for new Trane air conditioning products or merely seeking a reliable Arizona Trane A/C service center, you need access to trustworthy consumer brochures, specification sheets, and product guidelines. 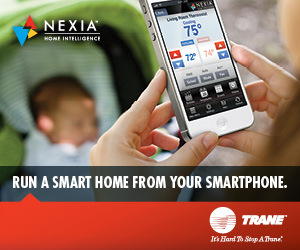 Some of this critical decision-making information is available directly from Trane. Tech reports and product reviews also provide important bits of knowledge, as do local and national product review websites. To locate a quality Arizona cooling and heating service and repair center, look toward both the Arizona BBB and national HVAC craftsmen membership centers. Both offer various advice and guidance. AND more, including tips sheets, maintenance guides, and a few notes on persons of interest within the air conditioning industry. As a potential customer of ACH in Arizona, you deserve all that we can offer. Whether having a new air conditioning unit installed or seeking reasonably priced air conditioning repairs, you need a company that makes the customer’s home comfort a major component of the sale, the service and the installation. Quality service providers do not rush in with a mess of suggestions, recommendations, and promises. Arizona homeowners understand the dangers of a failed air conditioning system and they are wise enough to understand the dangers of making a rushed decision during the HVAC buying process. American Cooling and Heating offers new and existing customers an extensive library of images, text and video explanations that can help Arizona residents make informed AC buying decisions. From air handlers to heat pumps and from air conditioning condensing units to home air filters, you got questions and ACH has answers. Arizona Without Working Air Conditioning, Wide Open and Hot! Let’s be honest, Arizona gets hot and muggy! As a homeowner the last thing you need to be dealing with is an air conditioning unit that’s showing signs of giving out on you. Unfortunately these things happen. So, what can you do when you’re considering servicing your heating and cooling unit or purchasing a new one? You’ve heard of Trane and if you live in Arizona you have likely heard of American Cooling and Heating. We have a stellar reputation for providing only the best services and products in the Arizona cooling and heating marketplace. When it comes to getting A/C home products, you want service that comes with long life, reliability and a reputation for lingering quality. Get 24/7 on-hand answers from the ACH free Trane air conditioning information resource center, or just pick up a phone and get immediate answers from trained and experience technicians. 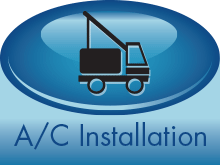 Need pricing for a new Arizona A/C installation project, ACH offers 24/7 free estimates. Next time you need an air conditioning system or a heating unit installed or repaired, check out American Cooling and Heating. 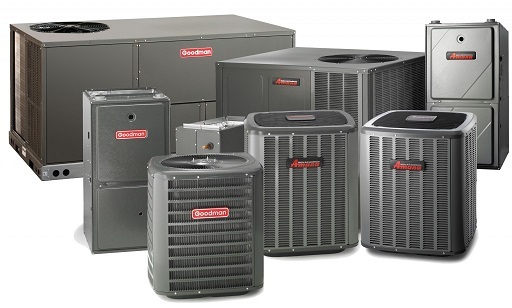 We carry a complete line of air conditioning condensing units, heat pumps, thermostats and other HVAC equipment. Come now – and bring all of your Arizona A/C and heating expectations. Written by Rm Harrington on . Posted in AC Installation, Buying Tips. Unlike Gilbert HVAC buyers, some families are fortunate enough to live in temperate climates where the weather is always perfect. For the rest of us, we need good HVAC systems that keep us cool in the summer and warm in the winter. For help finding such a system, read the following Gilbert HVAC “Make It Easy” article. Shared information makes a good buyer’s tool. Before hiring a contractor for your HVAC system installation, ask for referrals. Although many A/C contractors have deal, offer discount services, and seem to know what they are doing, you cannot simply take their word for it. Get the names and call past customers. Find out what made this particular air conditioning company right for them. Wise Gilbert HVAC buyers install A/C equipment that saves money. Go with ENERGY STAR rated products. They are effective, environmentally friendly and very energy efficient. 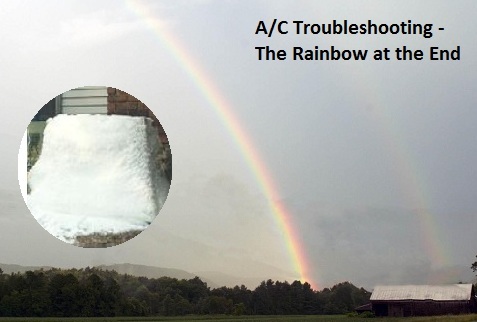 Cooling your home, or heating it if you install a heat pump, consumes much energy. Installing ENERGY STAR equipment reflects in lower monthly utility bills. Permit your Gilbert A/C installation to help you recoup the costs. It’s a no-brainer. Get your agreement with the Gilbert HVAC contractor in writing. This may seem unnecessary, but anytime a contractor tends to skip over this step the charge to the customer ends up coming shockingly high. If you have the agreement in written format, the vendor cannot go back and change the information or the plans for the job without your consent. Likewise with the warranty. Get it in written form. To find a “great” HVAC specialists, check with your family and neighbors. Their recommendations for a Gilbert A/C installation company reflect experience. Likely, you already know someone who just completed a ton of research on home heating and cooling equipment and installers. It’s the kind of power-knowledge that you just cannot buy. So ask around. Find an air conditioning specialist in your area. Word of mouth advertising provides you with an easy way to save hours on research, time, and money too. A/C maintenance begins with your HVAC filter system. Checking your filters on a routine schedule can make the difference between inexpensive repairs and more expensive ones down the line. Put it in your monthly schedule, and then follow through. Furthermore, make certain that you keep an on-hand supply of replacement filters. If you are running a heat pump, this condition doesn’t apply. In fact, merely living in Gilbert AZ removes most need for A/C storage practices. However, assuming that you use an air conditioning condensing system and that you shut down the breakers during the winter, take time to cover your outdoor air conditioning unit – and use a tight cover. This will keep it free of snow, frost and debris so that you’ll have a working unit when the spring comes and you are ready to uncover it and use it again. Whenever possible, try to shade the outside compressor unit. The air in shady places is typically five to six degrees cooler than the surrounding air. If effectively shaded during the summer months, your Gilbert HVAC air conditioning unit will be up to ten percent more efficient than an sun-blasted unit. If you are looking to save money during operation of your Gilbert HVAC system, consider turning down the air conditioning in the summer and turning the heat down in the winter. Putting on a sweater on a cold day can save you a ton of money on your utility bill – as can enjoying a cold drink instead of heavy air conditioning use. If you lived in a place with perfectly lovely year-around weather, you would not need heating or cooling in your home. But in Gilbert, doing without air conditioning means sweating all summer long. Make your Gilbert HVAC buying decision with care. If you need help picking the right Gilbert HVAC product, click here.